With the Dali Oberon series, the Danish loudspeaker specialists have updated their successful entry-level series Zensor after seven years. We now have the models in our assortment and ready for demonstration. We have summed up the most striking innovations. 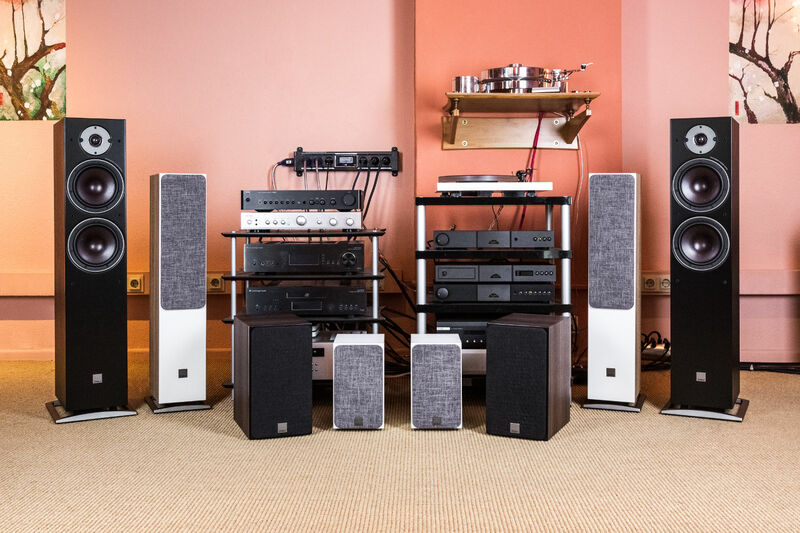 The Dali Oberon series is equally suitable for hi-fi and home cinema applications and comprises a total of six models. The two floor-standing loudspeakers Oberon 5 and Oberon 7 are joined by the two compact loudspeakers Oberon 1 and Oberon 3 as well as the Center Oberon Vokal and a slim Oberon On-Wall variant for wall installation, which is not only interesting for home cinema applications but also cuts a fine figure as a space-saving stereo solution. Of course, Dali also offers in-house subwoofers to support the bass foundation if necessary. Depending on the choice of loudspeakers and room size, there are four alternatives to choose from – the smaller Sub-C-8 D and Sub E-9 F models or the larger Sub-E-12 F and Sub K-14 F woofers. 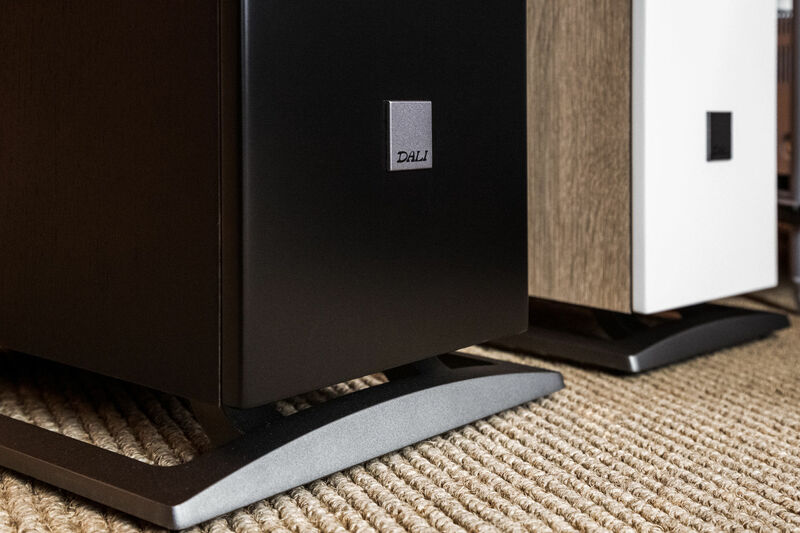 Dali offers four cabinet version, the Sub-E-12 Fans for the Oberon loudspeakers – in black, white, light oak with white front and walnut with a black front. For the bright models, a grey cover is supplied ex-works, while the dark models come with a black cover. A white alternative is optionally available. At its core, the familiar Dali design has been retained, but the Oberon series looks a little fresher and more modern overall. Construction and technological features. As you know from Dali, the entry-level series Oberon is also exemplarily manufactured. The solidly constructed cabinets are lined with acoustic damping material, the floor-standing loudspeakers also have special cabinet stiffeners and special aluminum feet, so that no undesirable resonances influence the performance of the drivers. For all models of the Oberon series, Dali relies on a newly developed high-frequency driver with a fabric dome weighing only 0.060 mg per square millimeter, which has a relatively large diameter of 29 mm and thus ensures controlled diaphragm deflection even at higher sound pressure levels. In addition, the high-quality magnet system is worth mentioning, which is cooled with ferrofluid and therefore plays particularly precisely. The diaphragms of the mid-bass drivers are available in two sizes (130 mm diameter for Oberon 1 and Oberon 5, 180 mm for Oberon 3 and Oberon 7) and are made of the typical Dali wood fiber/paper mixture, which is extremely torsion-resistant despite its low weight. The drive system behind it consists on the one hand of a four-layer wound aluminum wire voice coil with copper sheathing, so that a low coil weight and a high conductivity, as well as excellent contact resistance properties, can be realized at the same time. On the other hand, Dali uses a ferrite magnet with an iron pole piece and a disc made of special SMC material. This section of the pole piece is located exactly in the working area of the coil and its superior electromagnetic properties ensure extremely low distortion reproduction. In addition, all loudspeakers are equipped with a bass reflex port at the rear which is specifically designed to support the low bass range. The bass reflex channel of the Dali Oberon On-Wall loudspeaker, which due to its design radiates downwards, is interesting in this context, as it allows a rich bass reproduction without undesirable overemphasis. With the Oberon series, Dali has created a new entry-level series that has benefited technologically in many respects from the larger Dali loudspeaker models and has been optically updated. 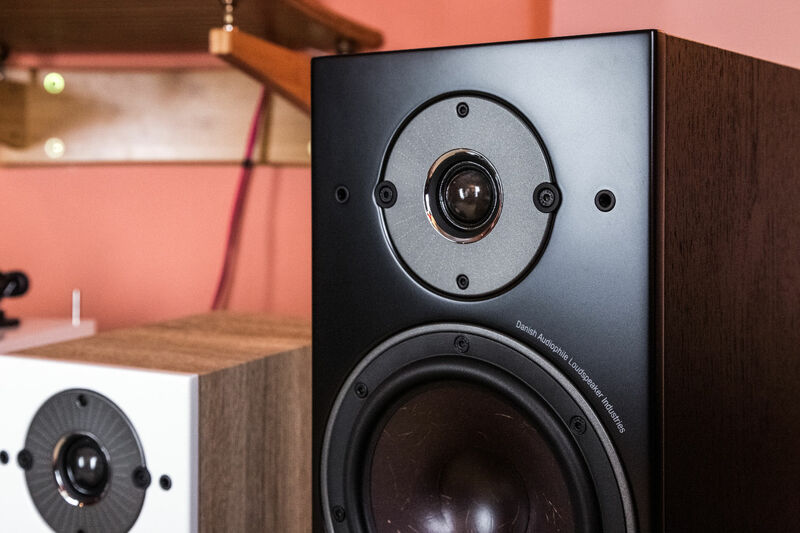 It plays, especially at higher levels, a lot more controlled than its predecessor and doesn’t have to hide from one or the other more expensive loudspeaker. Anyone looking for a speaker in this segment should definitely give the Dali Oberon series a chance.